Investors in Castle Trust’s unique Protected Housa investment product have seen capital growth of 3.1% in its first month since launch as the Halifax House Price Index (HHPI) recorded the fastest monthly increase since October 2007. Average house prices rose 3.1% in February and are now 10.1% higher than in February 2013, according to Halifax, underlining the benefits for savers of residential property investment ahead of the ISA season. 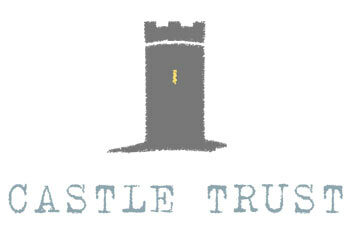 That investment story is already resonating with investors – Castle Trust saw record inflows into its range of growth and income investment products in February building on strong ongoing demand. The newly-launched Protected Housa, a pure growth investment, tracks any rise in the HHPI during its five year term as well as returning 100% of the original investment to savers in the event of the index being lower after five years, has returned 3.1% after just a month. Investors across Castle Trust’s range of products are also benefiting – since launching in October 2012, the Growth Housas have delivered growth of between 16.8% and 19.0%. Growth Housas are available for 5 and 10 year terms and provide investors with either 150% (5 year) or 170% (10 year) of any increase in the HHPI. The Income Housa, which is available for 3, 5 and 10 year terms, has delivered capital growth of 11.2% in addition to an annual income of between 2% and 3% (depending on the term) [see below]. All Housas qualify for inclusion as an ISA, Junior ISA or SIPP with a minimum investment of just £1,000. Investors are eligible for protection by the Financial Services Compensation Scheme of up to £50,000 per individual. Housas are a low cost and tax-efficient way to get exposure to the housing market. All Housas are trackers which provide returns directly linked to the HHPI – whether the HHPI rises or falls. Unlike property funds, there are no upfront or ongoing management fees. UK residential property is one of the most stable asset classes. New analysis by Castle Trust reveals that over the last 30 years, it has historically delivered annual returns of about 6% per annum – which is comparable with equities, and superior to commercial property, but with much less volatility than both.